Glenn Beck returns to Connecticut. 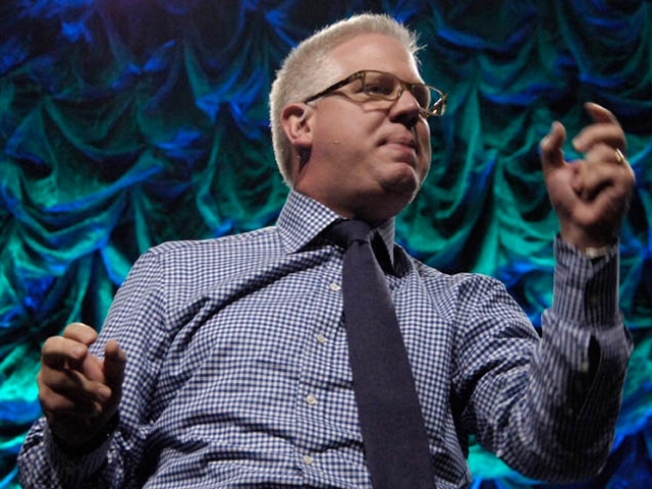 Long before Glenn Beck was a syndicated talk radio host and news commentator, he was the co-host of a morning radio show here in Connecticut. He worked at Hamden-based KC101 and was the co-host of the "Glenn and Pat Show." He's kept his connections to Connecticut and has a house here. On Saturday, Oct. 30 -- the day President Barack Obama will be in Bridgeport to campaign for Democrats-- the conservative talk show host will be at a book signings at Barnes & Noble Booksellers in North Haven and West Hartford. Beck will sign copies of his new book entitled "Broke: The Plan to Restore Our Trust, Truth and Treasure." "We are thrilled that Mr. Beck chose the Blue Back Square Barnes & Noble as the venue for his Connecticut book signing" Barbara Lerner, project marketing manager for the location, said. "He is clearly an influential national figure. This is a great opportunity for local listeners to reconnect with the radio host." The North Haven book signing is at 7:30 a.m., followed by the West Hartford stop from 9:30 a.m. to 10:30 a.m. It's a busy day for Beck. Later that night he appears with Bill O'Reilly at Mohegan Sun. The "Bill O'Reilly & Glenn Beck - Bold & Fresh Tour 2010" will be live on stage in Uncasville at 8 p.m. Tickets range from $50 to $130.